Yes, that is a SOS-dan armband. Yes, I did just mix Ouran High School Host Club and The Melancholy of Haruhi Suzumiya. 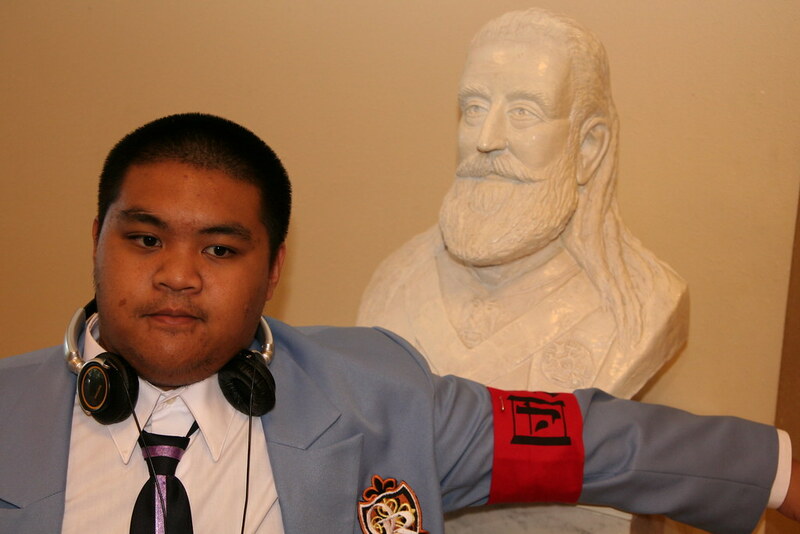 Notice I'm not in my Director of the Ouran Secret Service form; I'm in the form of ordinary student that I took up at Fanime - plus the SOS-dan armband. 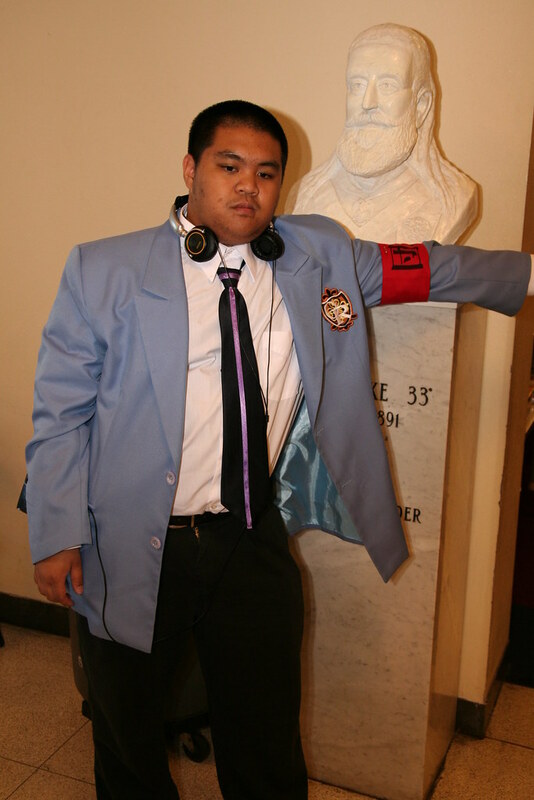 I'll probably do it again for the December, but I will break out the Director cosplay again at the January show.